This coming weekend, on the 10th & 11th March, we will be celebrating our 356th Church Anniversary, giving thanks to God for his faithfulness to us, and seeking to be equipped for the task ahead of us. If you subtract 356 from 2018 you reach 1662. Why is that date significant? Because it marks what is known historically as the ‘Great Ejection’, which is when, as far as we know, our foundners formed Zion Congregational Church as an Independent Church outside of the Church of England. 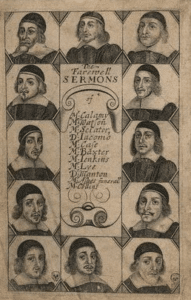 1662 was the year when over 1,800 ministers were forced to leave the Church of England, because they could not, in good conscience, swear an oath pledging absolute loyalty to the church above their loyalty to the Bible. It was a costly decision for them – they were forbidden from preaching and teaching, barred from positions in church, and not allowed to meet. We are indebted to our founders for having such a high regard for God’s word even at great cost to themselves. As we thank God for out past, we look ahead to the future, and want to be equipped fo the task ahead of us. 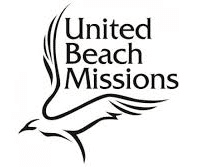 Tim Howlett, the Executive Officer of United Beach Missions, and his wife Alison, have kindly agreed to join us for the weekend. Tim will be preaching twice for us with the goal of equipping us to speak to others about Jesus. As we meet we will also be giving thanks to God for his faithfulness to us. Please do pray that, like our founders, we would be faithful to God’s word for the period that he has entrusted us with the church, and that we might leave it in good heath when we hand over the baton to the next generation. Please also pray for Tim as he seeks to equip us to tell others about Jesus.